The best alternative to traditional wood plank decking for elevated decks that won't burn, rot, twist, warp, change color, stain. 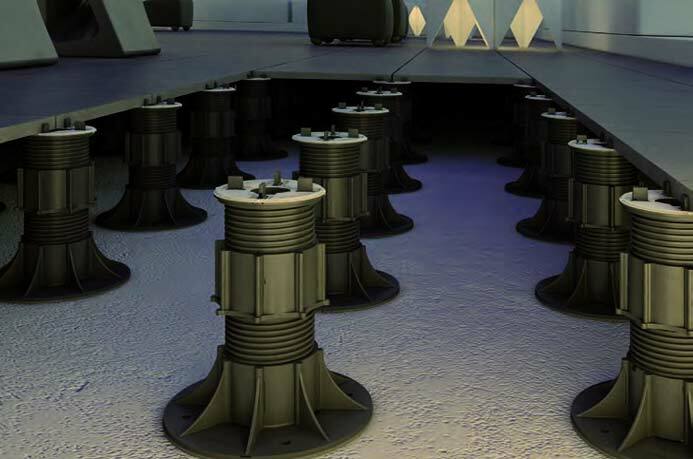 Easy installation just needs a support structure of hollow steel rails and adjustable height pedestals. 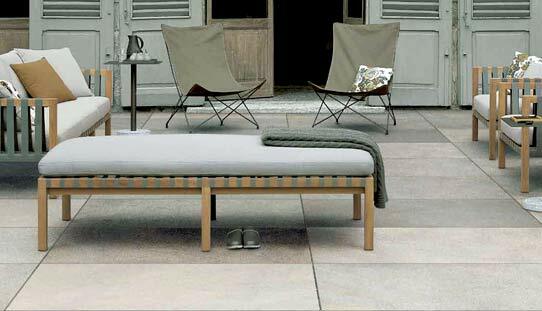 Versatile porcelain patio pavers for laying over gravel, sand, grass, existing concrete or bedded in thinset for vehicular applications. 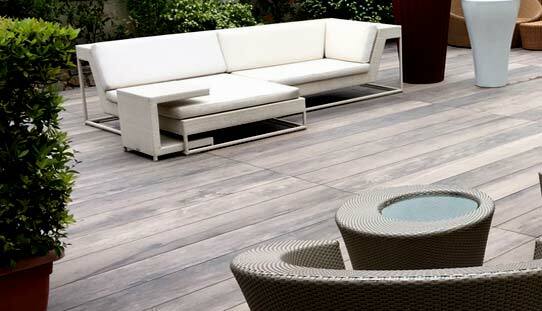 The best alternative to concrete pavers for all outdoor paving and landscape projects. 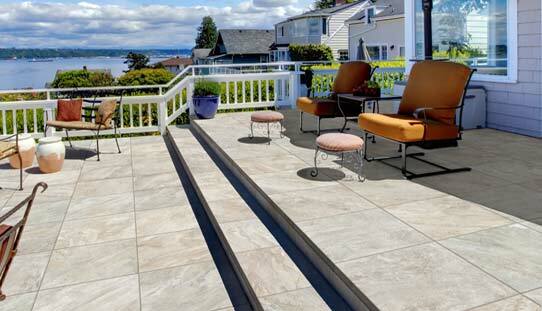 Lightweight, scratch resistant, stain resistant, frost resistant, low maintenance porcelain stoneware pavers for constructing elevated rooftop decks with pedestal systems or installing directly over existing concrete. Build perfectly level elevated decks with Archatrak porcelain pavers over sloping or uneven surfaces, on rooftops, terraces and plazas, quickly and easily with the Eterno pedestal paver system. 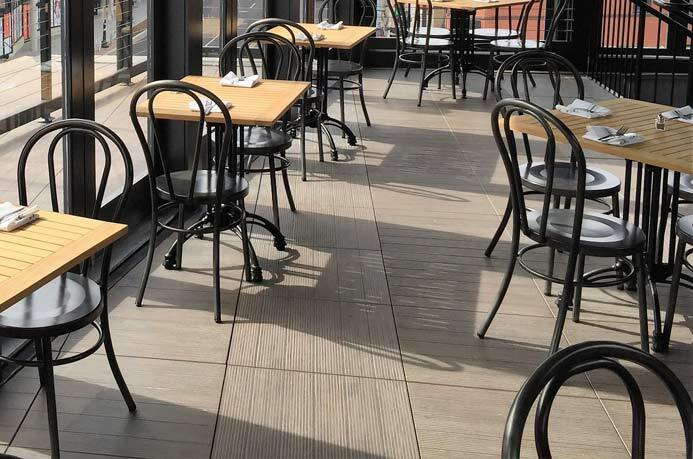 As well as residential applications, porcelain pavers are ideal for commercial flooring and rooftop decks for restaurants and bars because of their stain resistance, scuff resistance and exceptionally low maintenance. 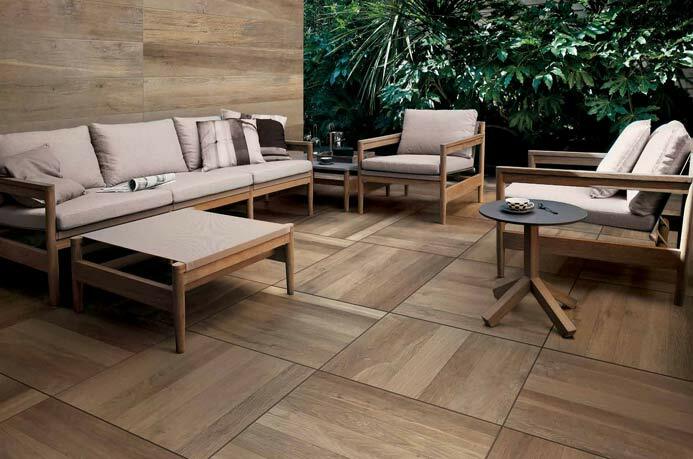 Our Italian made structural porcelain pavers are specifically designed for elevated decking applications supported by a pedestal system. As well as 24" x 24" pavers, we have selected colors in 48" x 24" and 48" x 16". 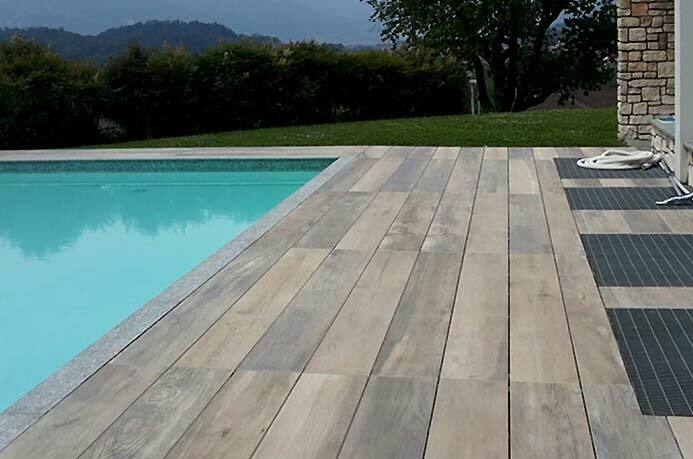 DeckWay 94" x 12" porcelain planks are designed to look like traditional wood plank decking but without the downsides. 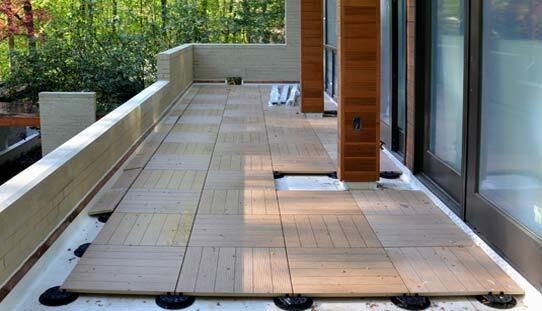 Use for building for elevated decks particularly where fire regulations prohibit a traditional wood deck.